Most people at one time or another need access to capital that is not sitting in their savings account. Perhaps you need to pay for your son’s college education, or you want to add a bedroom to your home. For homeowners, one of the most popular options is to take out a home equity line of credit or HELOC loans. An equity line of credit is a credit line similar to a credit card, but your credit line in this case is the equity in your home. As you need the cash for various purposes, you are able to draw it out of your home as you need it, up to a certain limit. Learn how to leverage your house with a home equity line of credit that provides quick access to cash at an affordable interest rate. Once you apply for an equity line of credit and are approved, the lender will give you either a check book or a debit card and you take the money out as it is needed. You will only pay interest on what you take out, and you are limited only by the total credit line you are given. 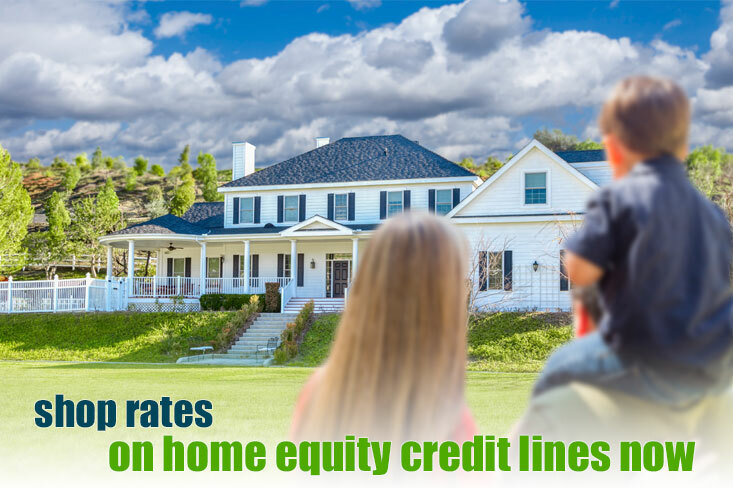 The home equity line of credit is the most popular way that home owners tap their equity. People who own their home today are most likely enjoying an increase in their equity position. Home prices are going up and homes are appreciating in value. This increases the equity that a home owner has in the home. It also means that the owner can pull some of that equity out of the property and do some remodeling. One of the most popular instruments used today to do home remodels is a home equity line or credit, or HELOC. The home equity line is a second mortgage that you get while leaving the first mortgage in place. An equity line of credit is used to take equity out of the home up to a certain amount; the maximum amount varies by lender and by state. Some situations allow the home owner to pull up to 80% of the home’s value out, while others may allow 85% or 90%. The home equity credit line is a variable interest line of credit based upon the amount of equity in the home. The home equity line lender will give you a HELOC with a certain line of credit, such as $25,000. You can draw that money out of the property whenever you wish, either in small increments or all at once. Home equity lines have an initial draw period where you have a low interest rate and you are paying interest only on the loan. In most cases, the home equity line of credit rates are considered low when coming it to conventional mortgage rates. Note that the interest rate on home equity lines are variable and it could possibly rise. The initial rate on a equity line is often quite low as it may be an introductory period rate, but it can rise in the future. After shopping credit line rates, check today’s home equity loan rates so you can compare the two options in a side by side analysis. One of the big benefits of a HELOC is that you only need to take money out and pay interest on it as you need it. So you are not paying interest on money that is just sitting in your bank account for several months. A home equity credit line is a good choice for a use or project that you need to fund over time. Most of the time homeowners appreciate the fact that with a home equity line of credit, the minimum payment is interest only. This is great for cash flow, but at some point, borrowers will need to start paying the home equity line of credit back. A popular use of a home equity line of credit is to fund a college education. You will need to make tuition payments over several years. You will be able to pull the money out of your home over 5-10 years, whatever the draw period is on your credit line. Most homeowners are able to take advantage of the mortgage interest tax deduction, and write off the interest on their 2nd mortgages. This tax deduction is very popular and it should be because it saves people hundreds or thousands on their tax bill every year. Interest paid on most other types of loans is not tax deductible. In most cases, a home equity credit line rate will have a higher interest rate than your first mortgage, but it is a collateral based loan, so the interest rate will always be lower than a credit card or a student loan. If you are pulling out cash to pay off credit cards or pay for a student loan, you will be paying a lower interest rate, which again, is tax deductible interest. Check HELOC rates today. Some people like to get a home equity line just so they have cash available in an emergency. If you are the sort of person who wants to have peace of mind by having money available in an emergency, a home equity credit line is a good thing to have handy. Usually you need to have good credit to get a home loan, but your current credit score will not have as much of an effect on your ability to get a loan. The home is collateral for the loan. If you don’t pay, the lender will take the home after a few months. But for many people who need cash and have equity, not having to worry too much about credit scores is helpful. Generally to get a home credit line, the bank will just require a current appraisal and verification of your income. If you have a fico score below 600, ask about bad credit home equity loans and lines. When you got your first mortgage, you might remember a long process of two months or more to get your loan. That is because the loan had to go through a full underwriting and documentation process that can take 60-90 days and even more. But with a home equity line, you are just going to need income verification and an appraisal. This means that you can get your money in a matter of a few weeks. After the financial crisis, lenders were offering a lot fewer HELOCs, but now there are more lenders offering them. We recommend that you visit a credit union and a mortgage broker at least to help you secure the best possible home equity line of credit rate. It will always pay for you to shop around. There are many great advantages of home equity lines of credit. Before making a financial commitment, we suggest doing your due diligence and comparing the HELOC and home equity loan, so you can make a sound decision. Used properly, you will have ready access to tax deductible cash that you can use for whatever you want. And, the interest rate on it will be lower than you would pay on most other loans. There are many ways to increase your overall wealth. But owning your own home is thought of as one of the most effective ways. Being a home owner rather than a renter allows you to build equity in a home that will most likely grow in value over the years. Plus, paying down your mortgage over time means that you will eventually own the home outright. Another benefit of owning your home is that if you need a large amount of cash, owning your house can be useful. For example, say you want to do a major rehab on your house. Or, perhaps there is a medical emergency in your family. If you have enough equity in your property, you can get a home equity credit line or a fixed 2nd mortgage loan. By taking out a home equity line, you can tap into the growing value of your property. The other options are usually to take out a personal loan or to run up credit cards with high interest rates. As a home equity line of credit will use the property as collateral, they are much less risky for lenders. A home equity credit line will feature a much better interest rate than other types of loans. Meet Bankers, Lenders and Brokers offering competitive HELOCS for homeowners with all types of credit backgrounds. What Are the Home Equity Line of Credit Requirements in 2018? If you want to take out equity in your home with a HELOC, here is what you need. Obviously, you have to have equity in the property. This is defined as the difference between the fair market value of the house, and the balance of your mortgage. To take out a home equity line of credit, lenders mostly want to see home equity exceeding 20% after the loan closes. So, if your home has a fair market value of $200,000, this means that the total amount owed in the property has to be under $160,000, including your mortgage and the home equity line of credit. This may seem unreasonable to some parties. But lenders after the market crash of 2007 and 2008 have decided to err on the side of caution. They generally require borrowers to have a 20% stake in their home at all times. This reduces the risk to the home equity lender and its investors. A borrower with a 20% stake in the home is a heck of a lot less likely to stop paying the mortgage and walk. You need to have a reasonable credit score to take out another loan on your property. The good news is that because the loan is secured by the home you live in, the credit standards aren’t usually that difficult. Some home equity lines of credit are available to people with average to poor credit, albeit at higher interest rates. Those with poor credit also must have solid proof of income and have plenty of equity available. If you have good credit, you will be able to breeze through the approval process and get approved with the best home equity credit line rate possible. It should go without saying that people who borrow money in a mortgage loan have to show that they have the ability to repay it. This means that you have to show you have a steady work history and prove that you can make the monthly payments. Home equity lenders want to see your job history going back several years, including your income and all other financial obligations on the application. If you do not have a regular job or a steady level of income, you could have difficulty qualifying for a home equity line of credit. In addition to having enough equity, lenders want to loan money to people who have a lower debt to income ratio or DTI. If you have several other loans and debts, you could have a harder time taking out a home equity loan, no matter the level of equity in the property. The requirements for DTI will vary, but generally, lenders like to see it in the range of 45% or lower. This will include the total payment for your mortgage, home equity line of credit, and all other debt payments. These include car loans, credit cards, child support, student loans and anything else. If you have debt obligations beyond 45% DTI, most home equity lenders will conclude that you are stretched too thin to borrow more money. If you have enough equity in your home, a home equity line of credit can be a good fit for your financial needs. Interest rates on HELOCs vary with the market, so you need to be comfortable with some degree of variance in the payment schedule. If you are not, a home equity loan with a fixed interest rate may be preferable. 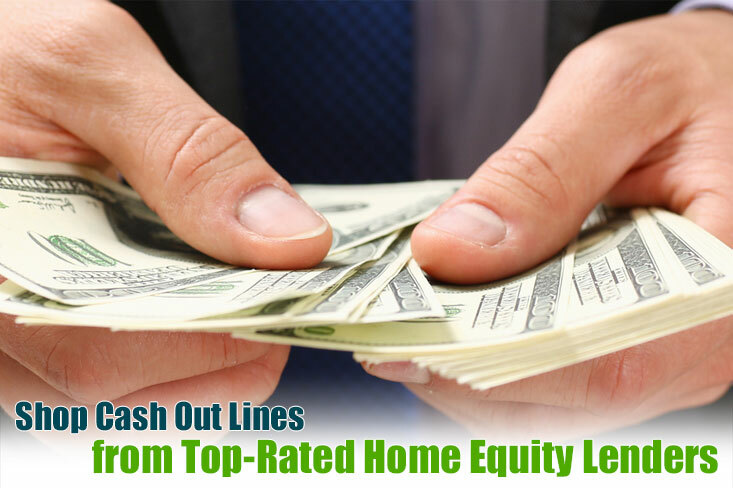 The best method to get a good rate on your HELOC is to shop different home equity line lenders. Be sure that you are looking at the closing costs and fees involved as well. Borrowing equity from your property in the form of a home equity line of credit can be an effective, low interest way to get the money you need. Remember that the payment can vary if interest rates go up in the coming years, so you need to have enough income to pay for that potential increase in payment.